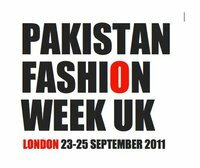 Our first event is Pakistan Fashion Week UK. It will be a three-day event from the 23rd to the 25th September 2011. Following on from a pre-event red carpet and gala celebration will be three days of fashion shows. Each one of the six fashion shows will feature four top Pakistan designers and an accompanying exhibition allowing the opportunity to purchase quality pieces. The event will attract 3,000 people from across the country. The audience will be made up of a significant proportion of high-net-worth individuals from both the white and Asian community. It will include buyers from leading UK fashion houses and retail outlets across the UK and Europe and will represent a significant buying spend. Hosted at Kensington Great Hall, a purpose built conference facility in the heart of Kensington, London, provides amble space for a 500 strong audience to watch in comfort will be our chosen venue for this launch event. Musical artists will be selected that promote an Asian classical style of music. Media sponsor will broadcast the event allowing for a live –pre-event show with the designers and TV broadcast of the Fashion Shows.